Cherry, Illinois, is a small, flat town of the drab and dun frame houses of Scotch, English, Ger­man, French, Irish, Lithuanian, Polish, Scandinavian, and Italian mine-workers. Miners are the rovers of the deep of the lands of the earth as sailors are the rovers of the deep of its seas. The town is six years old. It lies on the bare brown prairie, divided by a main street of saloons and small stores. 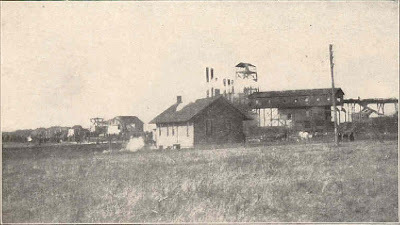 A square brick schoolhouse, and two churches, one Roman Catholic and the other Congregational, stand at one end; beyond the other end rise the gray rock-dump and the chimneys and shaft-towers of the St. Paul Mine. In the daytime most of the male population of the town lives underground. The shafts of the St. Paul Mine (see the diagram on page 489) run through three veins of soft coal, of which the first vein is too thin to mine. Three hundred or more men work in the second vein, which is from four to five feet thick and lies 325 feet below the sur­face of the earth. Two hundred men, more or less, work in the third vein, which is three feet six inches thick and lies 200 feet below the second vein and 525 feet below the surface of the earth. The miners go down to work in a cage through the main shaft. This main shaft runs to the bottom of the mine, but is not equipped for hoisting below the second vein, except with a dummy cage, which has never been used. The main shaft reaches the second vein at the southwest corner of what may be called an irregular square of tunnels, like the streets about a city block. These tunnels, five and a half to six feet high, seven feet wide, and about three hundred feet long, are runways for the tracks of the coal-cars drawn by the mine mules. The second-vein miners walk out along these runways to the entries leading to their rooms. Inside, the block is tunneled into entries, except for the mule-stable, the pump-room, and the main air-passage, a larger tunnel for ventilation. To reach his work, the third-vein miner walks fifty feet from the main shaft to this main air-passage. 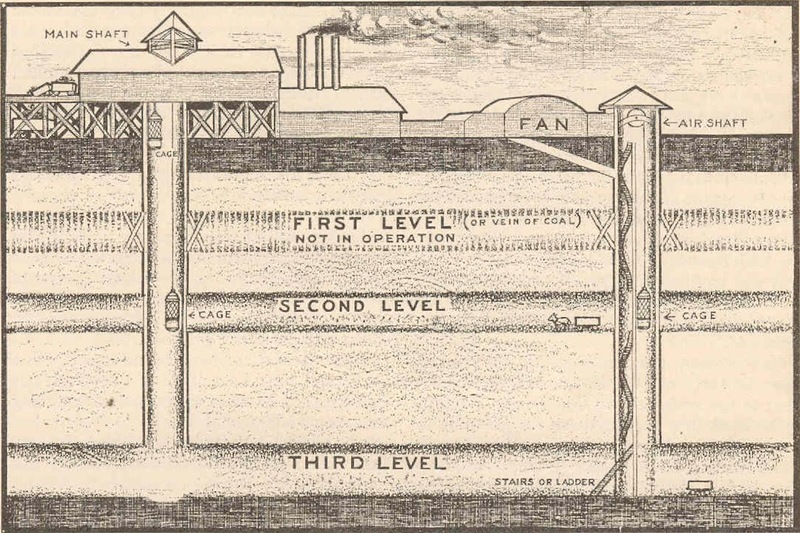 It is a seven-foot tunnel, fourteen feet wide, running straight through the block, starting 50 feet from the main shaft, and reach­ing the opposite runway at the middle, about a hundred feet from each of its rounded corners. In the main air-passage the third-vein miners pass a hoarded-over sump, or marshy bottom, opposite the mule-stable; and, a hundred and fifty feet beyond the sump, they come upon the air-shaft or escape-shaft, and go down its cage or its stairs to the bottom of the mine. Up this air-shaft they hoist coal from the third vein to the second, where the cars are switched around on the runways to the main shaft, and hoisted up the main shaft to the top. The air-shaft is divided by a partition. On one side are stairs leading from the third vein to the surface. Some people say that there was a stretch of ladder for a part of the way; others, that the stairs were continuous from the bottom to the top of the mine. 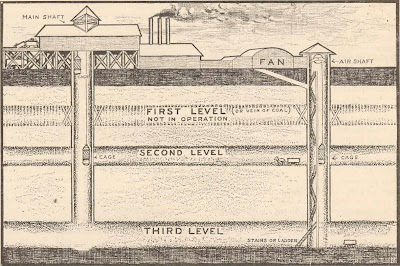 On the other side of the partition, the fan above throws air down the air-shaft and through the main air-passage, where it is distributed by various channels through the whole mine and up through the main shaft. In this situation, three hundred and three men were working in the second vein of the St. Paul Mine, and one hundred and eighty-one men were working in the third vein, when, at half-past eleven o'clock on Saturday, the 13th of November, a car of six bales of hay for the third vein was sent down the main shaft and switched, in its turn, around behind other cars to the air-shaft, which it seems to have reached between one and half-past one. Here it was pushed back into the air-passage out of the way, and the hay caught fire from a torch. The cager and the assistant cager, Alexander Rosenjack and Robert Deans, seem to have had words about the fire. They tried to put it out with their coats. Then they tried to push the car to the sump and to hose and water from the mule-stable; but the smoke and some obstruction in the passage made this impossible. Deese, a French driver, Albert Buc­kle, a trapper-boy, and other men ran around to the mule-stable to bring water from the trough, but could not reach it, for the smoke. Rosenjack ran downstairs and told the third-vein cagers, Wil­liam Smith and John Brown, that he would send the burning car down to them in the cage; he asked them to prepare a hose to put it out. There is another sump at the bottom of the air-shaft. In the meantime, a party of third-vein men had gone up to the second vein to catch the half-past one o'clock cage to the top, among them Mr. James Flood and his brother-in-law, Mr. Haney, president of the local Union. They saw the fire; but did not think it seri­ous. They lent Rosenjack a hand in pushing the car of hay toward the air-shaft. As he said he needed no more help, they went on, caught the main-shaft cage, and reached their houses with so little thought about the incident that they did not even mention it at home. 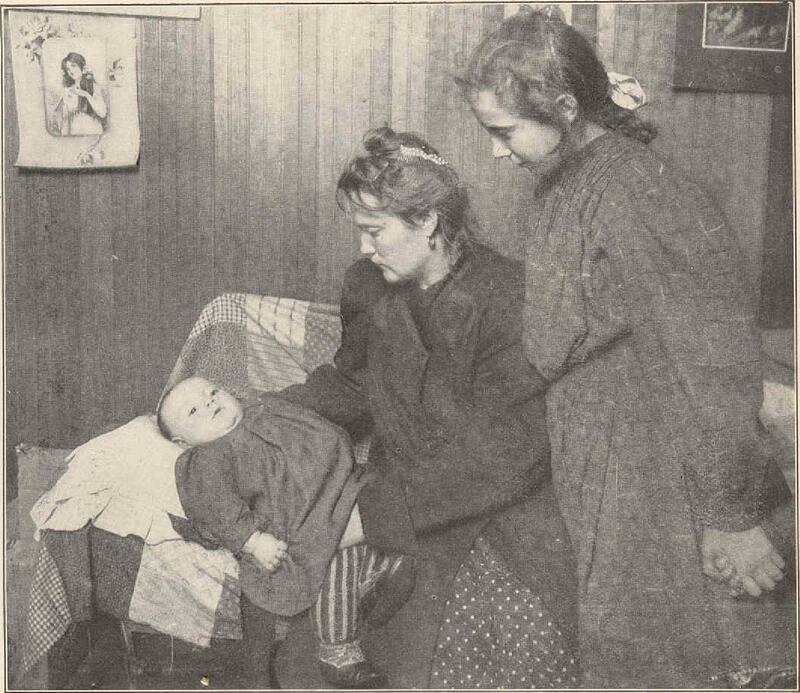 Soon after this, smoke coming up the air-shaft was seen from the town; and women and children ran to the mine. Two loads of coal were hoisted. 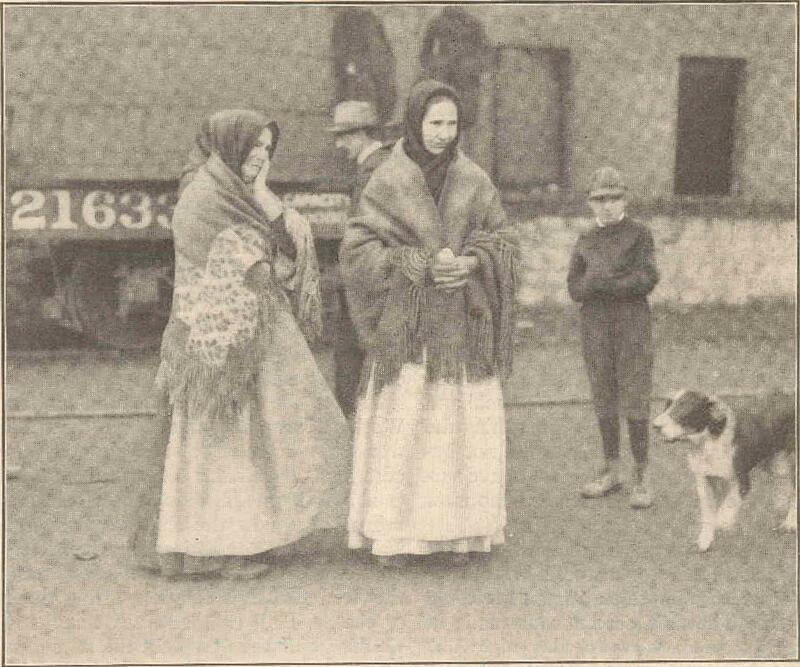 Some of the women were reassured at hearing that the fire was only a car of hay, and returned home. Others cried to the en­gineer, "Hoist the men, not the coal!" The main-shaft caner, Richards, came up on the cage, and ordered the engineer to hoist instantly a car of dynamite and powder, which was brought up at once. In the meantime there had been all sorts of difficulties in getting the car of hay down to the third vein. It stuck. Mr. Nourberg, the assist­ant manager of the third vein, went above to give orders about the draught. Andrew Lettson, an American boy from the third vein, came up into the second vein, while the car was half on and half off the cage. He immediately went below to the sump in the third vein, where he and John Brown waited to put out the burning car when it should be thrown down the open shaft. They expected Rosenjack to have the cage hoisted out of the way and to dump the car down underneath it into the third-vein sump a few minutes later. Rosenjack then had the cage lifted above the car. With other second-vein workers, he threw the car down into the third-vein sump; and Lettson and Brown put out the fire, as far as the hay and the car were concerned. But as they now received no response to the signals they sent to the second vein, and as they heard the voice of Mr. Nourberg calling warn­ings and orders about the fire, Lettson ran up­stairs again and lifted the trap-door at the top. Rosenjack and Deans were gone; William Smith, the third-vein cager, was gone. Lettson saw the flames in the air-passage and air-shaft almost cutting off his escape. He turned and went deliberately back to the bottom, asked Thomas Hewitt, a mule-driver, to go in one direction and warn his father and brother and the men around them, while he, Lettson, went three hundred yards back to the face. In speaking of this afterward, Lettson, in deprecation of praise, said: "Why, I had my chance; and I thought the rest ought to have the same chance." When Lettson and Hewitt and their parties returned to the shaft, the men were crowding and fighting wildly in the stifling smoke now surrounding the foot of the third-vein ladder. Hewitt and Brown kept these men in line and started them on their way. Lettson led them into the smoke above. Brown said, "I am get­ting no signals from above. Better go up the air-shaft stairs." But the air-shaft stairs above the second vein were blazing. Hewitt, Lettson, and Brown saved the lives of all those in the third vein who escaped that day. Hewitt was the last man to leave the third vein alive. He and those ahead of him urged Brown to follow. But Brown stood quietly at the foot of the shaft in the black stifle and horror around him. "I won't go until every man is out of this mine," he said. These words, uttered from the heart of a fortitude that beggars all description, were the last utterance heard rising from the very bottom of the great disaster. Lettson and Hewitt have no accurate count of the men in their party; there were probably about twelve or fourteen. Above, in the second vein, they entered into smoke and fire. Some men went in one direction, some in another. Oblivious of their own safety, Mr. Walter Waite, Mr. George Eddy, and Mr. Bundy, mine bosses and managers, were all going about in the depths of the second vein, crying warnings: "Go! Go quick!" Through the enclosing darkness and smothering smoke, the men in the second vein, realizing what was happening were thronging out of the rooms and entries, around the run­ways to the foot of the main shaft. When Noverio, a young Italian miner, with Hewitt and Lettson, entered the runway it was filled with smoke, cars, mules lying down, and men lying on their faces and crying. 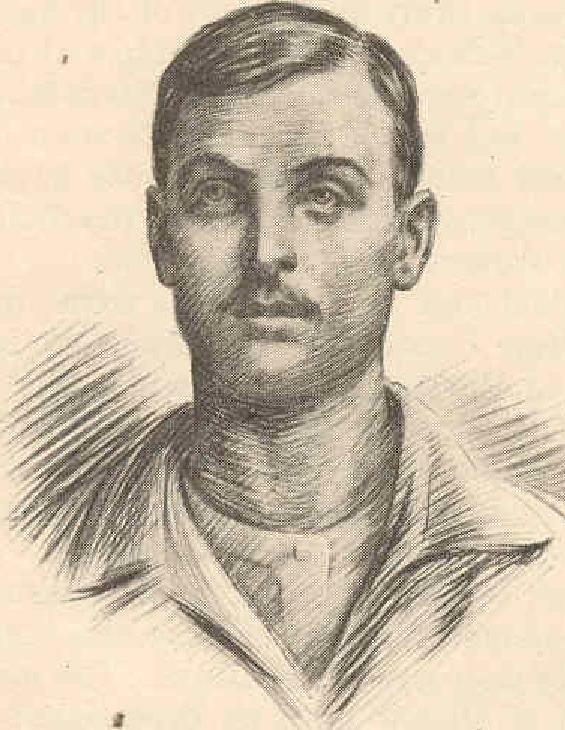 Tosetti, another Italian, ahead, called hack that there was no hope. He, too, lay down and cried. Noverio shouted to the men behind him to keep up their courage and come on. And these men struggled, stifling, running, climbing over dead mules and weeping, prostrate men, till they came out to the main shaft and managed to make the cage and reach the top. Lettson stood at the turn of the runway, holding a light to show the way for the others. Another American, Vickers, stood at another turn, holding a light till it went out. Someone gave him another light, and that went out. Then someone else gave him a lantern, just as he was ready to drop, overcome with smoke. He managed to hang this lantern on a nail before he was driven forward by a blast of smoke, to struggle, more dead than alive, along the smoke-filled passageways to the shaft. As he fell faint­ing against it, someone touched his hand. A voice said, "Take my hand, brother." Someone he could not see dragged him forward and he knew no more till he was lying under the white light of day above-ground. Here by this time men, as well as women and children, were running in an agony of appre­hension toward the mouth of the shaft. 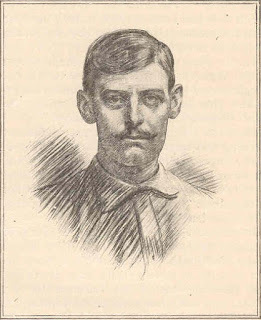 John Flood, a Scotch dry-goods merchant, the brother of James Flood, dropped his pen in the midst of an order for shoes in Chicago­, an order never to be finished, and hurried to see whether his brother was safe. 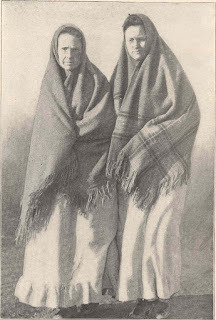 Charles Waite and John Smith, brother and brother-in-law of Walter Waite; George Brown, brother of the brave third-vein cager; Peter MacCrud­den, with a father in the mine; Dominick For­mento, a grocer from Turin; Joseph Hozie, an Austrian saloonkeeper; Ralph Eddy, a boy of eighteen, who was a top fireman; Ike Lewis, a livery-stable keeper; Dr. Liston Howe, the company physician; four Scotch mine-work­ers, Henry Stewart, Andrew McCluky, James Spears, and Robert Clark - all these men ran, in the sunlit afternoon, out of their houses and stores, many of them never to come back again. Dr. Howe was among the first to reach the shaft, just as Nourberg, who had come up to order the reversal of the fan, entered the cage. "How are things down there?" he asked. "Pretty bad," said Nourberg, coolly stepping into the little trap over the smoking funnel. He added that men were fainting in the smoke, and asked Dr. Howe if he would go down to help with them. Below, the darkness and confusion were so great that Dr. Howe could tell where human beings lay only by kicking and striking some­thing soft. This human body he dragged to the cage and httried upon it. Nourberg and Bundy, the two mine managers, Rosenjack, the air-shaft caner, away from his post, but risking his life momently at the main shaft, were working and calling in the darkness. Overhead, the timbers of the mine were burning, and in places might be heard the cracking and the warning of the rock. 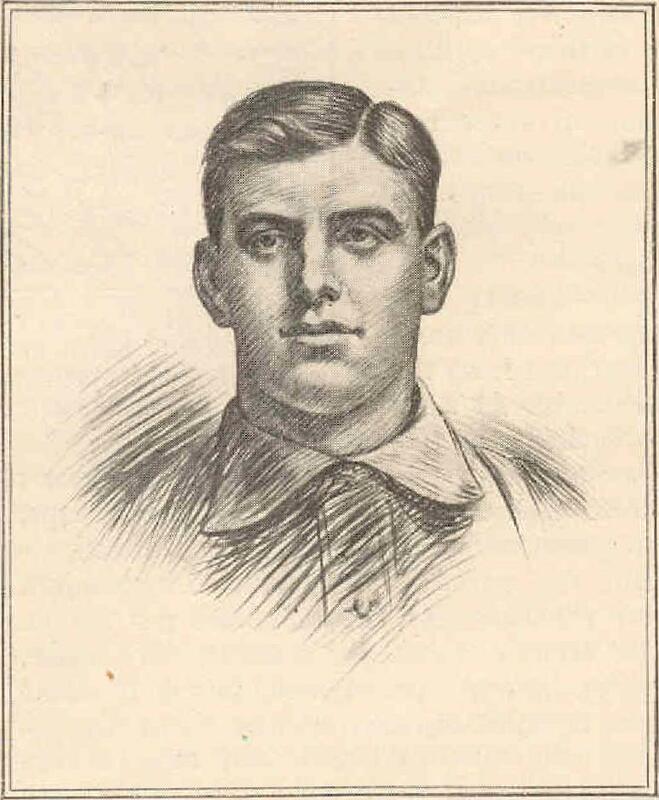 As the cages of struggling, stifling men were taken up to the top by Nourberg, Bundy. Rosenjack, or Dr. Howe, to be revived, the doctor or one of the others would say, "Come along. Get in." One cage of rescued men to be revived came up as another cage of rescuers went down. All of those men mentioned, who had run from the town to the shaft, went down into the horror below in the. next terrible half hour, forty min­utes, hour— a length of time like eternity, and immeasurable, now, either from the comparison of the men who survived it or of the terror-stricken women and children at the top. 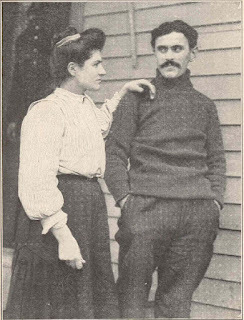 "I said to Dr. Howe: 'Wouldn't it be ad­visable for a lot of us fellows with good lungs to go down, half on the east and half on the west?' So Rosenjack and Dr. Howe went on the west side. George Brown and I went on the east side, with two other men. "I went in forty feet toward the mule-barn. The smoke was pretty bad … When I went in with air it was not so bad. Coming out against the air, I found it out that it was pretty tough. I had to get down on my hands and knees and my face along the rail to come out. . . . After that, I made out to go on the west side, on what we call the manway. I stopped and listened. I did not see no fire. But heard everything crackin' and burnin' and the warnin' of the rock. I noticed it was dangerous in there." 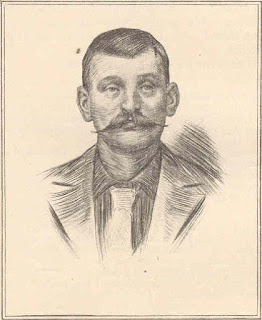 Mr. Hozie mentioned, with admiration, how he saw John Bundy "pretty near all in"; and asked him "wouldn't it be advisable" for him to go up on top before losing his life. But Bundy refused to go. Mr. Hozie also saw Rosenjack "all in" and carried fainting to the top, where he threw himself on the earth, too weak to rise, and cried and groaned, as some people thought, in remorse and horror over his faults in judgment at the outset of the fire, but, in Mr. Hozie's opinion, "because he couldn't go down." However that may be, let everyone remem­ber that as soon as Rosenjack could rise again he did go down, and stayed down, working in the burning passages and bringing men up, to the very end. This, as nearly as could be as­certained, was about half-past three, when the last cage was hoisted. Dr. Howe, who came up with Rosenjack and Eddy as the last cage went down, ran to the engine-room, and frantically urged Cowley, the engineer, to lift the other cage at once. But Cowley did not dare to lift it with­out a signal from below. The last cage signaled then to hoist slowly - four bells; then one bell - to stop; then two bells - to go down again. Wild, meaningless signals followed. Then came two bells ­to go down again. Was the signal out of order? What did it mean. The breathless watchers in the en­gine-house urged Cowley to lift the cage. But his last signal from below had been to let it down. The inter­vals between the cages had not been since the descents for rescue began, longer than six minutes. After an interval said by some witnesses to have been twelve minutes long, and by other witnesses to have been half an hour long, Cowley lifted the cage, without the signal. It held twelve people. Two of these were poor fellows who had apparently cast themselves in at the moment the cage reached the bottom, John Zuky and John Robisa, men all but unknown in the town, without families, and not identified for weeks afterward. The others were the ten rescuers, Dominick Formento, Robert Clark, John Bundy, Alexander Nourberg, Henry Stewart, Andrew McCluky, Ike Lewis, James Spears, John Zahriski, and John Flood. They were all burned alive. They had been dropped into a furnace. No more lives were flung down the main shaft after that. Both shafts were filled with impenetrable smoke and flame. About eighty men had been rescued. Hope for the two hundred and sixty-three men still in the second vein, hope for the one hundred and sixty men still in the third vein, was abandoned. It was considered that the single faint chance for the con­tinuance of life below lay in the smothering of the flames. So planks were laid over the mouth of the air-shaft and sand was piled on them to make the lid air-tight. Before four o'clock the air-shaft was sealed. Perhaps that hour may best be expressed in the experience of Mrs. Charles Waite, an extremely brave woman, who had seen her husband, a night examiner, at home, just before she left her house, early in the afternoon. Charles Waite was one of the second-vein rescuers who never came up, like Peter MacCrudden and John Smith. 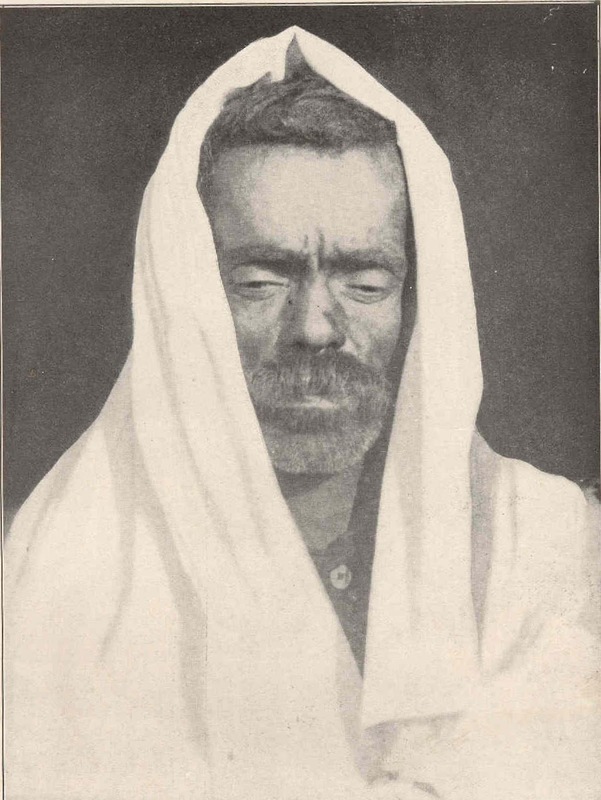 His body was found on a road, far from the shaft, where he seemed to have run in rescue; the last tidings of him were that he replied to someone urging him to leave the mine: "I am going to stay with the rest." "As I came out of the dentist's," said Mrs. Waite, "I saw Mrs. Nourberg walking along the street, and she was crying. She said: 'Oh, they say there is a terrible fire in the shaft; they say Ike Lewis [her sister's husband] is in it. And they say - they say my man is in it, too.' I said, 'Oh, it couldn't be so bad as that.' And then a feeling came over me that maybe my man was in it. I thought: 'Oh, God! Surely he wouldn't go down in the fire.' Then I could hardly hold myself till I ran to the shaft. When I got there, I went back and forth to one and another and asked them had they seen my husband. And no one had seen him. "And just then I saw that they had closed up the air-shaft. Oh, no one could know how terrible it was there, then, among those mothers and children. 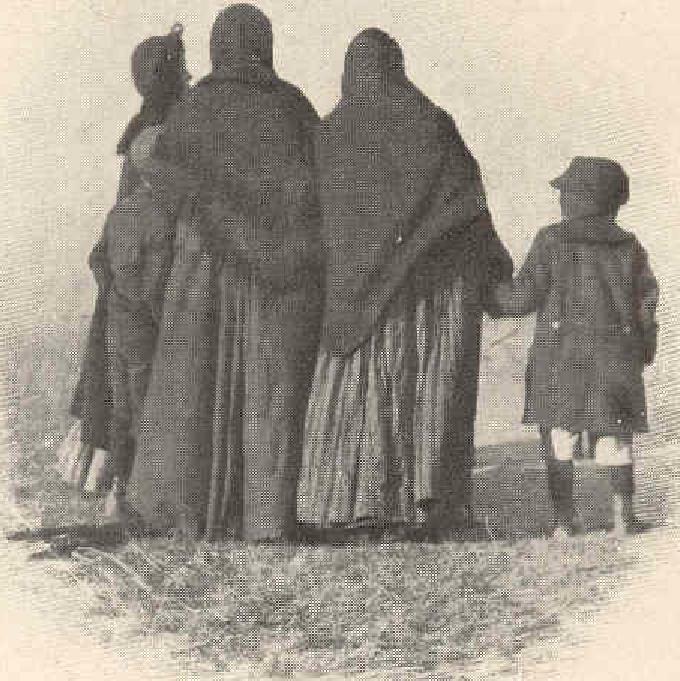 No one could know what it was except those mothers and children there." On Sunday morning the world had heard of the catastrophe at Cherry. Inspectors, doc­tors, reporters, the Red Cross, the company officers, foreign consuls, and mine-workers and members of the families of the men in the mine, from all parts of Illinois, came pouring into the little town. 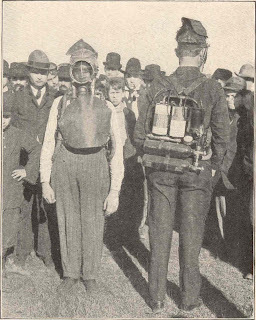 By special effort on the part of the mine officials, Mr. Williams and Mr. Webb, with oxygen helmets and apparatus from the State Mine Ex­periment and Mine Life Saving Station at Ur­bana, were rushed to Cherry before daybreak, in the company's hope of opening the shafts and sending workers down immediately. Mr. Paul and Mr. Rice came from the Na­tional Mine Experiment and Mine Life Saving Station at Pittsburg. 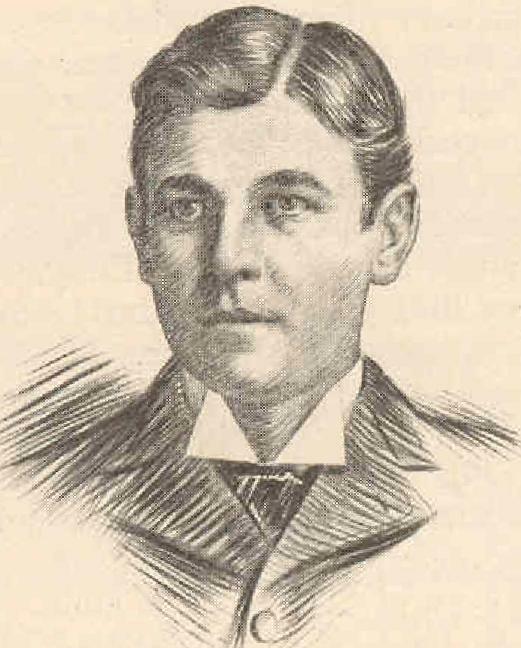 Mr. Newsam, the President of the State Mine Examining Board, and the ten mine inspectors of the State, were ordered by Governor Deneen to go to Cherry at once to take charge of the rescue work. Though Mr. Newsam was made chairman of their conferences, no one of these men had legal authority over any of the others. The mine in­spectors of Illinois have no department chief. Besides, all, with the exception of the local inspector, Mr. Hudson, were greatly handi­capped by the fact that they had no practical familiarity with the conditions existing in the mine at Cherry, nor with its roads and air-passages. They were obliged to work, as best they could, with maps and blue-prints. Most of the inspectors believed that leaving the main shah unsealed would only increase the draught and flame; and, in the impossibility of fanning air down, would retard the chances of any one's entering the mine. In this, as it after­ward proved, they were right. But the unconquerable feeling on all sides, that it was unendurable to close the mine's only means of entry while there were three hundred fellow creatures below, prevailed over every­thing else. Even if the inspectors and the com­pany officials had insisted, they could not have kept the mine closed. The people around the main shaft would have opened it by force. The air-shaft was unsealed on Sunday after­noon. Smoke instantly issued from it. It was realized that a barrier of flame was more impen­etrable than one of planks and sand. The mine was closed again. During the three days after Sunday, various unsuccessful attempts were made to unseal and enter the mine for the purpose of quenching the fire and recovering the dead. It was not be­lieved that any human creature could have sur­vived either the smoke or the black damp after Saturday afternoon. It was not until the middle of the week that a lowered thermometer registered in the air-shaft a temperature in which human life could be sustained. The first descent was made at eight o'clock on a dark Wednesday night. A great crowd with lanterns and torches gathered about the mine. 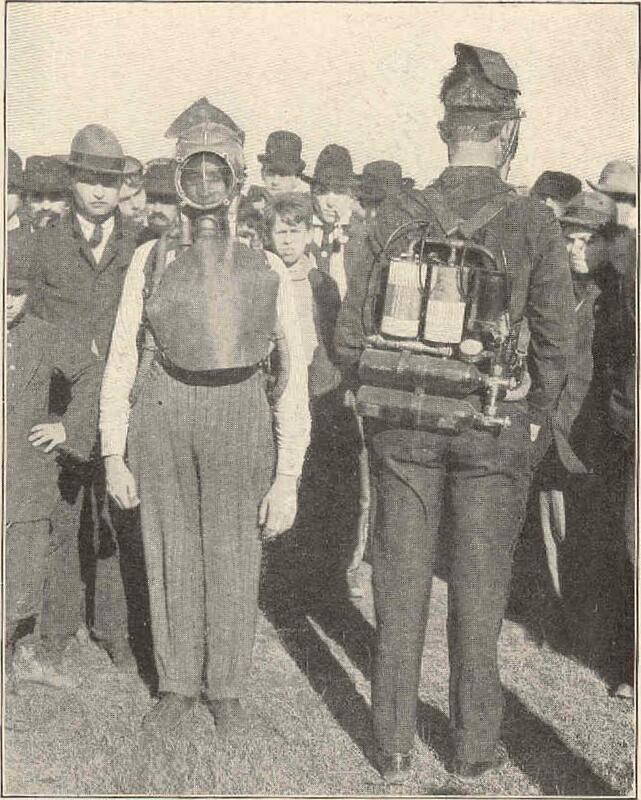 Williams of Urbana and John Smith, a brave miner from Ladd, were lowered down the air-shaft in a bucket, equipped with oxygen helmets and an automobile horn as a signal. A man wearing one of these helmets, with their great tanks and impedimenta, is said to have about an eighth of his strength left to use for other purposes. Before the descent, Inspector Taylor asked perfect silence of all the crowd, so that the faintest sound of the horn might be heard. There was perfect silence. The brave divers stepped coolly into the bucket and were lowered into the ruins of the mine. Here they were to play a hose containing fire-destroying chemicals on the fire that was still burning below. But the hose was so heavy that they could not ma­nipulate it successfully, and they were obliged to abandon the-attempt as impracticable. On Thursday descents were made by Mr. Rice and Mr. Paul with oxygen helmets. Thursday morning, Inspectors Taylor, Moses, and McAllister, wearing helmets, went down the air-shaft on a float cage built at furious speed on Wednesday night, and brought up the first body, which Williams and Smith had seen on the previous night. Later, on the same day, Williams and Inspector Moses went down the main shaft, and found dense smoke and bad falls of rock. Playing hose, timbering, scatter­ing disinfectants, and removing the dead - all these various pieces of work had to be done by these first workers in the darkness, fire, and overwhelming odor. In the next twelve hours the fan was started, and the mine was entered by Mr. Steele, the Mine Superintendent, and other company men, by Inspector Epperson of Indiana, and Inspector Hudson and other inspectors of Illinois; by vol­unteers from the United Mine Workers; by John Evans of the Ladd Fire Department, and Captain Kenny, Lieutenant Smith, and other members of the Chicago Fire Department. There was still fire at the shaft bottom, and hose was played on it all night. From that time on, through Friday and Fri­day night and Saturday morning of the week following the disaster, firemen, United Mine Workers, company men, and inspectors, all worked in the mine, day and night, in the efforts described, and in carrying out the dead, black­ened and bloated, rolling them in canvas, and bearing them to the shawled women always waiting at the top to identify their lost. Each morning Mr. Bicknell, the President of the Red Cross Association, lifting the curtain of the St. Paul railroad car where he stayed, would see at the first light the rows of muffled figures waiting in the hopeless daybreak. There had been much talk in the newspapers about the wildness and hysteria of the mine tragedy. Mr. Bicknell had witnessed human conduct in the misery succeeding the San Fran­cisco earthquake and the Messina disaster. I asked him about his own general impression of the behavior of the families of the lost at Cherry. It was then that he told me about the dawns he had watched beside the St. Paul shaft. "Hysteria?" he said. "I have never seen such fortitude." Among the searching women was Mrs. Walter Waite. On the Saturday after the fire she stayed with a friend till nearly three o'clock, bending over body after body, looking for some recognizable belonging or feature. At last the two women could endure it no longer. Mrs. Waite went home, overwhelmed, and, unable to eat, even to drink, threw off her clothes and sank clown on her bed in complete exhaustion. As she lay there, she heard footsteps and voices on the street and then at her door. "They say living men are coming out of the mine; and they say Mr. Waite is with them," the voices said. She started up, threw on her clothes, and ran all the way to the shaft, around which the town was surging. The news was true. On the afternoon of the disaster, Walter Waite and George Eddy had both gone so far into the recesses of the mine, warning others, that at last they found they could not make the shaft. 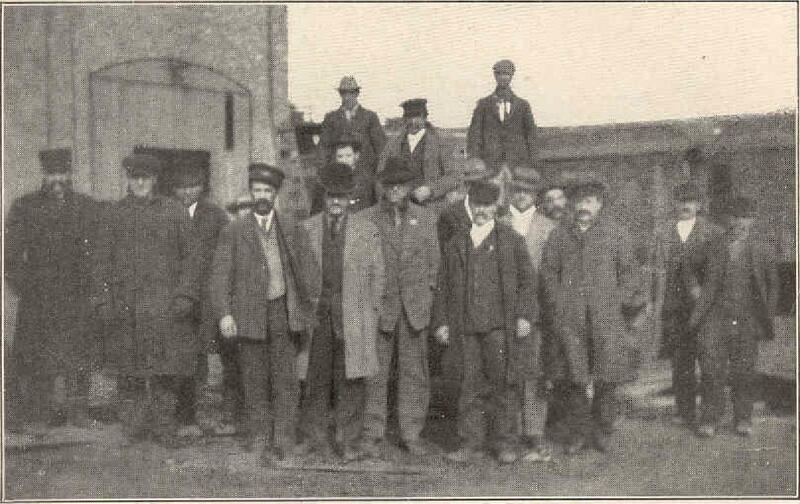 The parties met, and were led by Mr. Waite and Mr. Eddy along the last feasible road to the main shaft. The air grew heavier and heavier as they walked. Then Mr. Waite and Mr. Eddy, who were in advance, saw three mules drop dead just ahead of them. Mr. Waite turned and said quietly to Mr. Eddy: "We are caught like rats in a trap. But there is no need to tell the boys about seeing the mules." He directed the men back to the pas­sage from which they had come, which seemed to have fresher air, and sat down and lighted a pipe and smoked. Some of the others smoked, too, reassured by his coolness. 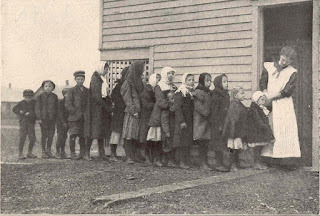 They were nine­teen in number including English, French, Germans, Italians, Scotchmen, Americans, Poles, and Lithuanians. Mr. Waite seems to have been from that time the natural leader. He is a small, delicately built man, with the deep hazel eyes of a religious enthusiast. He is a fervent Presbyterian, a mine boss, and an Englishman, born in the Forest of Dean and brought up in Illinois, where he has mined soft coal for twenty years. While this party sat smoking in the passage where there was fresher air, they heard cries near; and Mr. Eddy went out and dragged in. two more men, White and Lorimer, almost overcome with black damp. These men said they had almost reached the main shaft. It was a furnace. On the road by which they had tried to reach it, they had seen ahead of them a father and his boy of eighteen, lying dead in each other's arms. In this place of fresher air, on the insistence of Mr. Waite and Mr. Eddy, these twenty-one people stayed till the following (Sunday) after­noon. The air grew worse and worse; the men's desperation greater and greater. Lasti, an Italian from Bologna, by Sunday morning was frantic, seized his miner's pail of heavy tin, crushed it furiously in his hands into a ball, and flung it on the rock and trampled on it. "I never use you in this shaft any more, nor in any other!" he called, in a passionate outcry. The others laughed at him. In the afternoon, a Frenchman, Leopold Dumont, said they would die if they stayed longer, and broke away. 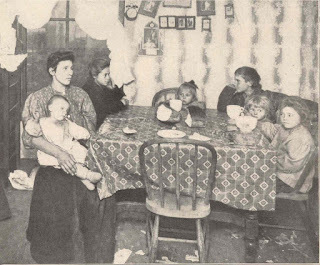 The black damp be­gan to surge in more heavily soon afterward; and they all started out, directed by Mr. Waite, who came last with an old Lithuanian, Dan Holafethek, in a serious condition of ex­haustion. Within a few moments Dumont re­turned to them. He was stifling then, nearly dying. The effort of accompanying the rest back through the bad air he had encountered, to a refuge for which Mr. Waite was steering, beyond this difficult passage, was too much for the poor Frenchman. He drew his last breath; and the others were obliged to leave him dead on the way. In the less choking atmosphere they reached beyond, Walter Waite said they would build a barrier to keep in the air they had found. The twenty men, in a passage about thirty-five hun­dred feet from the main shaft, in the second west entry, sealed themselves into a prison about 50o feet long, 9 feet wide, and 5 feet high. It had previously been supposed that no man could live in air so full of black damp as to quench the light of an oil-lamp. Now, on this Sunday afternoon, even inside the barrier all but the carbide lights had gone out. "After that," said George Eddy, in his story of their imprisonment, "we knew that all there was to do was to die there. You know, they say black damp doesn't cause any suffering. We thought we would just go to sleep there." All the men wrote letters to their families. I notify you of my unhappy death. I have got to die from suffocation and hunger. I salute you with tears in my eyes. I give kisses to you and your hus­band and children. Pray God for me. In leaving I ask for your forgiveness — pray for your loving brother a beautiful funeral — a thousand kisses to all — I beg you to go to the father. I cannot write any more — go to heaven — 700 lire you will send them to the father for a nice funeral and a beautiful cross on my tomb. Pray God for me. In my trunk you will find 5 dollars in a little box ­take my poor wages. Good-by — I beg you send the money to the father. I write these few lines to you and I think it will be for the last time. I have tried to get out twice, but was driven back. There seems to be no hope for us. I came down this shaft yesterday to help to save the men's lives. I hope the men I got out were saved. Well. Lizzie, if I am found dead take me to bury me in Streator and move back. Keep Esther and Jenny and Clarence together as much as you can. I hope they will not forget their father, so I will bid you all good-by, and. God bless you all. 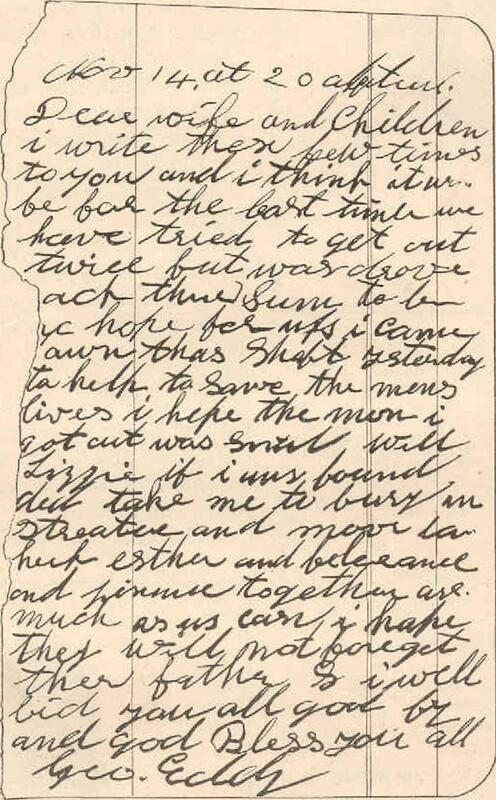 Not long after the letters were written, Mr. Waite said they would have a little service for Dumont. The Protestants would have their service. Perhaps the Catholics would have their service. Then the English, Scotch, and Ameri­cans gathered together, and Mr. Waite prayed for their dead companion, and offered a prayer for safety. The Catholics gathered together and said the Pater Noster. No one knew more than the first verse, but they all joined in. The Catholics did not know the song at all. "But all joined in; it made no matter," said Mr. Lasti. After that they all sang "Nearer, My God, to Thee," and then whatever anyone knew - "choruses and any­thing; any little thing would do." "Nobody knew anything all the way through," said Mr. Eddy, afterward, with a slow smile. As long as they could see each other at all, it was not so bad. But the carbide lights went out on Tuesday, and then the darkness was complete. All but Walter Waite gave up hope. At intervals, he would call each of the men by name: "Are you asleep? How are you feeling? How are you getting along?" The youngest of them, a boy of eighteen, poor Josep Bolfiliola, wept constantly, and Waite could not console him. 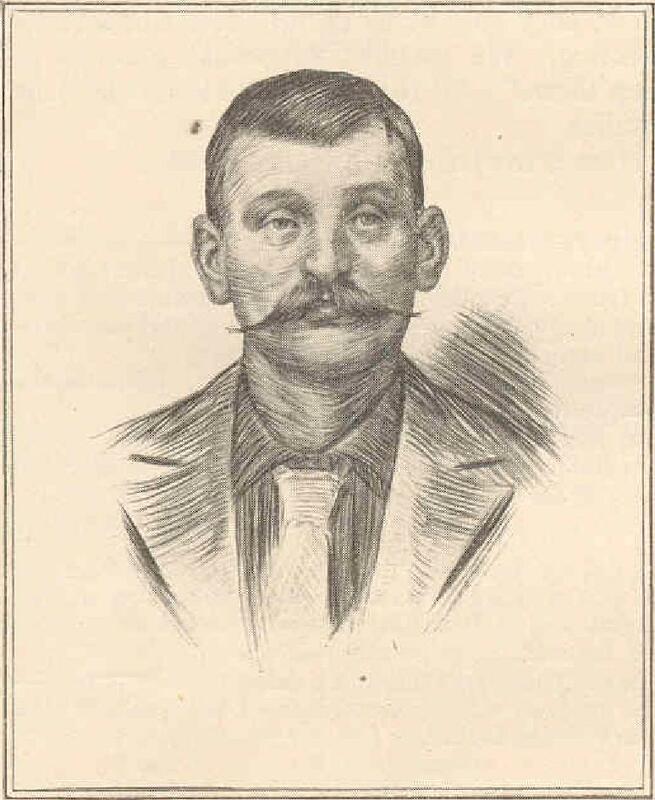 Josep's older brother, a driver, John Bolfiliola, had run off and left him in the fire; and Josep moaned, night and day, partly in grief at this brother's desertion, and partly in longing for him. A Lithuanian, Brohaski, unless report from the darkness be in error, whistled constantly to cheer himself. He was a young man with a young wife and two children. "He called them his kilder,'" said Mr. Lasti. "The Slavs, they never speak at all. They have no tongue. They do not know a word of Italian language." Bro­haski's whistling jarred every one's nerves. "Every one called out to him:' ' Hi, you damn fool! You can stop that!'" Here, as Mr. Lasti's anecdote seemed to end suddenly, one might have supposed Brohaski had been suppressed. "Did he stop?" I asked, after a pause. "No, no," replied Mr. Lasti, laughing, "not a bit." Such was the discipline of the twenty men locked in the depths of the earth. On the other hand, an Englishman attempted to break down the barrier and escape. If he had been successful, his effort would have killed himself and everyone else with a rush of black damp. And it is said the leaders choked him till he nearly strangled, in restraining him. 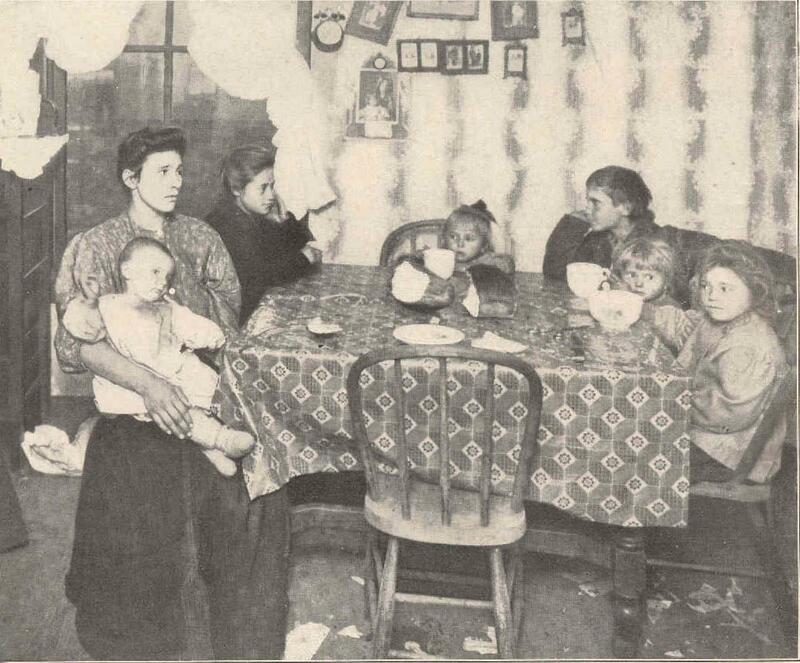 The only food of the twenty was a little lard-oil, some of the oil known as "miner's sun­shine," and the tobacco they happened to have in their pockets. Black damp deadens hunger for some constitutions. Consequently, a few of the men hardly suffered at all from starva­tion. Others suffered torments. Mr. Waite had not yet eaten his dinner when the fire broke out, so he was a meal behind the others, and suffered proportionately. He endured agonies. One day he told them casually that he wished he had a bunch of bananas he had eaten once in Chicago. Everybody instantly begged him not to talk of them. But it was a favorite story of Mr. Waite's, and he went on to tell how he had heard an Italian vender call­ing, "Bananas. Ten cents a dozen." He gave the Italian ten cents, and the man counted the fruit in­to a bag; two, four, six, ten, twelve." When Mr. Waite opened the bag there were only ten bananas, but he ate them all. At this, every one groaned again and begged him not to mention the ten bananas. 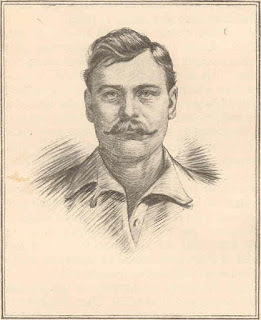 Mr. Waite smiled the gentlest, most humorous smile in the world as he told me of this - certain­]y a remarkable in­stance of masculine resolution in telling a favorite story even in the very jaws of death. The twenty suf­fered not only from hunger, but from the severe cold. At what they called night ­they determined the time by feeling the hands of their watches - the men slept in three groups, each group curled up together, for warmth. But the party's worst torture was thirst. After the first day, the men were put to the most terrible shifts for water. Mr. Waite, groping around the passage, found in some places a little seepage from the walls. He di­rected the men to hollow out cups in the ground. Five of these cups were dug. They collected less than half a pint apiece in twelve hours. The men took turns in drinking the seepage, though it was filled with fine particles of coal dust and almost strangled them as they swallowed it. Then an ugly thing happened. Several men went, in their right turn, to their appointed cups, to find the hollows of the cups licked dry. In the concealing blackness, someone among the twenty had been stealing the seepage. At the second turn, after his cup had been surreptitiously emptied, George Eddy, too weak to do more than creep, crawled to his drinking-place. The thief was lying there before him. It was one of the Lithuanians: Ed­dy came up silently behind him. "If I'd had a knife," he said to the man, "I'd have stuck it into you." After that the man was guarded, and re­stricted to his fair share. Toward Friday there was more and more despair. Even Mr. Waite, though he never lost hope, thought of cave-ins. And in one place in the diary his wife showed me, courage­ous, religious, exalted in tone though it is, he says his heart is breaking. By placing his hand at the barrier, he could feel the air and know when the main shaft was sealed and unsealed. He con­stantly buoyed the others by telling them that he knew those above were try­ing to save them. He would say to them: "We are better off than those on top; for we know we are alive, and they don't know .it." And: "Don't give up. We are going to give those people up there the very biggest surprise they ever had, yet. On Saturday morning; when four of the men could barely crawl, Mr. Waite felt fresh air at the barrier. He asked for four volunteers to go out for water, and to test the air for others as they went, turning hack instantly if they felt themselves at all overcome. A second relay of four were to follow the first quartet of men, and were to run forward and drag them back behind the barrier if the black damp made them faint. Mr. Waite, old Holafethek, and the sickest men remained just outside the hole for egress in the barrier. When the first four reached a certain entry, if the air was good and they felt that the hope of safety lay ahead of them, they were to whistle twice. Beside the barrier Waite, Holafethek, and the rest stood waiting for an interminable time. Then, through the dark, sounded two whistles. The men at the barrier, wild with joy, cheered back to their comrades. Some of them started to creep along the passage. They were all still in an atmosphere that would have instantly killed men entering from fresh air. Time had inured their lungs to the lack of oxygen. Three hours after the first four had left the barrier, Waite suddenly saw ahead two little lights coming. The lights came nearer. They belonged to the men with the oxygen helmets. On the morning after the twenty survivors were brought up, we walked out over the brown fields behind the shaft. A little German woman, with pink cheeks, a brave, sad face, and deep, mournful eyes, gave us directions to the house we were looking for. She was hurrying toward the shaft. "Has there been any trouble at your house?" someone asked. "Yes," she said. "My husband is down there. I am all alone." And she sobbed for a moment on another woman's shoulder, and tied her shawl tighter, and hurried back to watch at the shaft. Beyond, we met a little Italian boy, with a miner's pick. Before we could ask him where the people lived for whom we were hunting, he had run up to us with a rapturous smile, swing­ing the pick. "My father is alive!" he cried. "He lies on the bed." Through Cherry, on that day, the hope of res­cuing more entombed men was surging with new force. The firemen were chafing at staying on top. The miners were eager to enter the third vein, which had not yet been reached, and could hardly brook the caution for their lives felt for them by the managing inspectors. The baffling character of the whole situation may be summed up by two facts: First, the first four of the entombed survivors had really walked out on the rescuers, whereas one would instinctively conceive of rescuers as breaking in on the entombed. Second, if it had been known above that twenty men were living in the mine on the previous Saturday night, the twenty would probably have been killed by fire draughts caused by the opening of the shaft. While I heard little blame of individuals, I heard constant discouragement over a condition of things which certainly appeared to an out­sider to be deeply dissatisfying and filled every one with a sense of great strain and pain. It was as though human life were in danger, as in a fire or a surgical operation, and, in these conditions, conferences were held and charts consulted. On Monday, the President of the United Mine Workers of Illinois, Duncan McDonald, went to the authorities at Cherry, and asked to be lowered, in a bucket, down the air-shaft to the third vein, to make certain whether there was impassable black damp there. The com­pany promised that men would be sent down later. Two miners, one of the company men and an inspector, made the descent to the mine bottom that night. After wading to their waists in water, they came on a higher ledge, where they saw many dead bodies, how many they did not know. The miners found below this ledge a dead man sitting upright with three pieces of slate in his hands. On the severed pieces were the figures 45, 23, and 92 - supposed to mean the decreasing or increasing numbers of the refugees. There were words, too, which were rubbed out in the difficulties of exit, and are not legible. The man who read them first thought they were, "We are all here to die together." 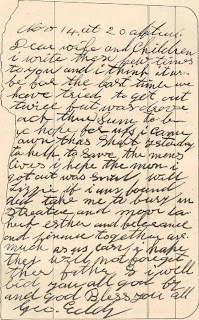 The next day the disappointed rescuers received another message from their lost com­rades in the time-book diary of Sam Howard, a young miner who was found, with his brother, Alfred Howard, a boy of fourteen, in the east south gallery of the second vein. Sam Howard was to have been married on Christmas day to Mamie Robinson, a young girl in Cherry. A few days before he had bought a ring for her in La Salle, and ordered the ring engraved with her initials and sent to the Cherry post-office. "14-1909. Alive at 10.30 o'clock yet. "10.45, 11 sharp, Big Sam D. Howard. Alfred, my brother, is with me yet. A good many dead mules and men. "I tried to save some, but came almost losing myself. "If I am dead give my diamond ring to Mamie Robinson. The ring is at the post-office. I had it sent there. Henry Caumicent can have the ring I have home in my good clothes. The only thing I regret is my brother that could help mother out after I am dead and gone. I tried my best to get out, but could not. "I saw Jim Jamieson and Steve Yinsko lying dead along the road and could not stand it any longer. "To keep me from thinking I thought I would write these few lines. "There is rock falling all over, but we have our buckets full of water, and we drink it and bathe our heads with it. 3 o'clock, and poor air and black damp. 4.15 o'clock, change of place. No black damp, but poor air. We lost a couple of our group. Two men tried to get out and could not get back. "7.50 o'clock, tired, hungry, and sleepy; but I could stand quite a bit of this if I could get out of this hole. So what is the use of knocking when a man is down? "7.50 o'clock in the morning. This is Sunday. There is no air. We fanned ourselves with lids of our buckets. "Twenty-five after 9, and black damp coming both ways. "Twenty-five after 10 A.M. Sunday. Still alive; that is, you will find me with the bunch. It is 11 A.M. That is, five of us, Alfred Howard, Miller, Leyshon, Sam D. Howard, Steele. We are still alive. The only hope is the fan. I think I won't have strength to write pretty soon. "Fifteen after 12 P.M. Sunday. We are hav­ing a swell time making fans. We take our turns at the fan. We have three of them going. "Twenty-seven to 3 P.M., and the black damp is coming on us. Only for the fans we would be dead. "11 to 4 P.M. Dying for the want of air. "Fifteen after 2 A.M. Monday. Am still alive. We are cold, hungry, weak, sick, and everything else. Alfred Howard is still alive. "9.15 A.M. Monday morning. Still breathing. Something better turn up or we will soon be gone. "11.15 A.M. Still alive at this time. "Sixteen to 1 P.M. Monday. The lives are going out. I think this is our last. We are get­ting weak. Alfred Howard as well as all of us." The mine-workers still felt that their access to their dead, or possibly living, companions be­low was slower than they were willing to risk. 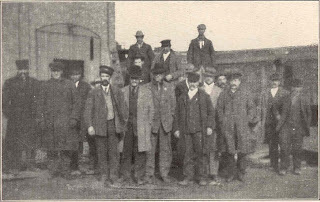 On Tuesday, after a conference of the Executive Committee of the Mine Workers, Duncan McDonald went to W. W. Taylor, the manager of the Cherry. Mine, with a statement that the United Mine Workers would be responsible for the lives of those volunteers among themselves who wished to take risks in rescue in the mine, and asked that they be allowed free access through it. Mr. Taylor was deeply touched. He gripped. McDonald's hand and said: "Dunc, I appre­ciate what you and all these brave fellows are doing to save life here. I am willing that the United Mine Workers should take any risks approved by the inspectors; and we have no objection to the officials of the Mine Workers, or to anyone else, inspecting any part of the mine." Mr. McDonald telephoned and telegraphed to Governor Deneen, asking to have someone put officially in charge of the rescue work. At this time Mr. Newsam, the former chair­man, completely worn out, collapsed. Inspector McAllister was selected by the inspectors to fill his place. On Wednesday morning, while arrangements were being made to pump out the third vein, it was discovered that fire had started in the coal itself. A meeting of all the authorities was held at midnight, when it was determined that conditions made further rescue work im­possible, without mortal risk from the danger of conflagration in the shafts, the only possible means of entry to the mine. It was unanimously decided to close the mine till the fire was out. This decision ended the rescue work. For weeks after that the mine was sealed. The courageous life-savers working at the Cherry mine, both during and after the catastrophe, are uncounted, and include, as will have been seen, besides the United Mine Workers, firemen, inspectors, mine life-savers, and company men. Men from all these bodies risked their own lives, freely and repeatedly, in rescue or the hope of rescue. Among these, the rally of the Mine Workers to their companions was to an outsider especially striking, and the responsibility and devotion of their officials seemed unfailing, from first to last. Of course, not all the men who emerged from the disaster or remained in the mine were heroic. Drivers and cagers deserted their posts. Men fled, and fled over prostrate living bodies, and, like all the world, simply naturally sought their own safety. Some sought their own safety first, and afterward went back to die, in the hope of rescue. 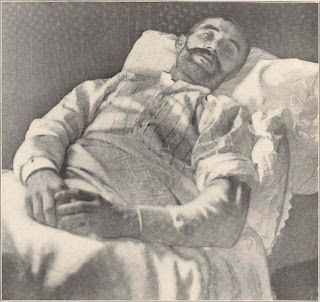 John Bolfiljola, the driver, remembered his younger brother, Josep, when he reached the top of the mine, and returned to its depths for him, and was lost when Josep, coming out with the twenty, asked for his be­loved older brother. Very stirring was the strength spent in res­cue after the fire; very thrilling the long, cool planning and undying hope and endurance of Walter Waite and many of his companions who were entombed alive. And there is one mute superiority in the con­duct of the twenty that is like a classic touch of nobility and must not go unrecorded. None of them has ever told the name of the man who took the drinking-water. The fortitude of those who fought for the lives of their fellow creatures, in the flaming depths of the earth, surpasses the splendor of conquerors in battle on land or sea. For the mine rescuers fought in a passion of unconscious sympathy and responsibility so much more gripping and abiding than all longing for con­quest or glory as to thrill the mind with the sense of a new magnificence in mortal aims and powers. Six months ago, many a person driving through the town of Cherry would have passed un-dreaming of the force and pride of life in its dumb houses and cindery streets and alleys. But out of these dumb houses arose human beings who have cried around the world the power of fortitude and of fraternity. Loss of life in the mines of the United States may be called a chronic catastrophe. According to the United States Geological Survey, 22,840 men have been killed in our coal­mines in the last seventeen years, and nearly 50,000 have been seriously injured. "In the coal-mines of the United States there are killed an average of four men annually out of every thousand employed: whereas in the con­tinental countries of Europe less than one and in Great Britain about one and a half in every thousand are killed annually . . . Coal mining is the most hazardous industry in America." "In no country," says the Bulletin of Labor issued by the Department of the Interior, "are the natural conditions so favorable for the safe extraction of coal as in the United States. The number of lives lost per thousand men em­ployed is far higher than in any other coal-producing industry. "In regard to deaths per million tons of coal, the United States not only occupies a position worse than that of most of the European countries, but is also showing an increase in the rate, whereas every other country is showing a decrease. . .
"It now remains to be shown that, unless energetic means are taken to counteract the prevail­ing tendency, not only will the death rate in pro­portion to men employed and tons produced increase as it has done in the last few years, but it will increase at a much more rapid rate. "With the depletion of the thicker and more favorably mined seams of coal, thinner and less regular seams must be worked. This factor will undoubtedly be of the greatest importance within a comparatively few years. And the natural result would be greatly to increase the death-rate. "The rising price of timber will have the effect of decreasing the number of wooden props used in mining, and probably will increase the chance of accidents from falls of roof and coal. "Another important factor in the mines of the United States may be found in the nation­ality of the miners. Most of the men are foreign-born, a large number are unable to understand English freely, and a still larger number are unable to read or write that language. Some of them are inexperienced and do not take proper precautions either for their own safety or for the safety of others. This becomes a most serious menace unless they are restrained by carefully enforced regulations. . . .
"A great increase in the number of accidents must he expected unless proper steps are taken to remedy the conditions that have brought about the present remarkably high death-rate in the coal-mines of the United States." "The United States is showing an increase in the rate, whereas every other country is show­ing a decrease." In other words, Great Britain and the Conti­nent have decreased their mire death-rates by enlightened legislation and enforcement. The enormous subject of the value and suc­cess of many different governmental efforts of relief - employers' liability laws, more accu­rate knowledge of various explosives, such as is now being compiled by the United States Geo­logical Testing Station at Pittsburg, laws in regard to fire-proof stables, mine telephones, shot-firing, installations of safety-devices - is beyond the scope of this account of one mine tragedy. If great coal industries in other countries can, by enlightened legislation and enforcement, suc­cessfully maintain increasingly safe conditions in their mines, there seems to be no reason why the coal industries of the United States cannot adopt the same methods. Few persons are, like Stewart, Nourberg, and Formento, capable of magnificently flinging away their lives to save the lives of others. Few persons are capable of heroism. But whole multitudes are capable of responsible and honest sympathy; and sympathy, the pas­sion of democracy, was, at bottom, the force that inspired these heroes of peace, and saved every man rescued from the St. Paul Mine. The words written on the piece of slate in the third vein are true, not only of the hundred and sixty men in the mine bottom, but for every creature on the earth. Everybody worthy of the name of human knows at some time, with a proud thrill, the deep truth that we are all here to die together. This sympathy and this knowledge should be potent in the future to make safer all work in the mines of the United States.